Move Up The Ladder By Engaging Men In Your Career! 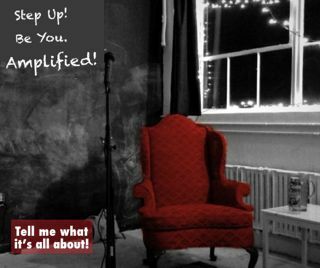 You are here: Home / Red Shoe Movement Blog / Human Resources Management / How engaging men in your career will take you to the next level! How engaging men in your career will take you to the next level! There’s no question that engaging men in your career must be a top priority if you want to move up the ladder. In the last few years, a lot has been said about the need for women to have career sponsors and not only mentors. I’d venture to say that this is even truer for multicultural talent. Being on the radar of career sponsors goes a long way when it comes to being tapped for powerful opportunities. But you shouldn’t wait until a career sponsor comes along. You should be doing amazing things that make you visible to them. Like what? Well, like seeking cross-functional opportunities to shine, stretching yourself and leaving a great impression. Through it all you should be engaging men in your career. Some of these men will become your sponsors, others your mentors, and others will just be amazing colleagues that will make your journey a lot more enjoyable. I had a chance to talk to Gerard Borda, Head of Talent Management for Veritiv, an industry-leading B2B distributor of packaging, print, facility, publishing and print management solutions in North America, and former VP Leadership Development at Sun Trust Bank. A man who’s very interested in Diversity and Inclusion and who’s been a long-term strategic partner of women in the organizations where he’s worked. We talked about engaging men in your career as one of the best ways to achieve your goals. What’s the best way for a woman to get you to support her career goals? I’d like to have interacted with her prior to her request. It’s always better if I have seen her work or if I have worked with her in some way. It’s easier to support someone who shows initiative to learn more about my work in the organization. And it doesn’t have to be something formal. 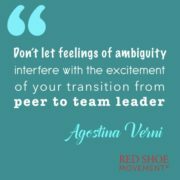 There are so many opportunities to interact with someone who works in your own organization. You could do it at a town hall meeting. It could be casual, like for example coming up to me to ask me about what I’m working on, or if I did a presentation and they come up afterwards to comment on something I said. It shows initiative and that’s important. The science behind engaging men gender initiatives. What doesn’t work at engaging men in your career? Desperation. It’s okay to be unhappy in your job, I get that. But when someone comes to me because they are drowning in their career and they try to reach out to me solely as a life vest, that’s a turn off. And also just because something is urgent on their calendar, it doesn’t mean it’s urgent on mine. If someone I don’t know approaches me to meet immediately, I might postpone the appointment on purpose to see how they react to the unexpected. I want to know if they appear frustrated or upset because of the last minute change. Then I wait to see if they reschedule or follow up. If they don’t, it lets me see that it wasn’t that important to them after all, so why should it be important to me. 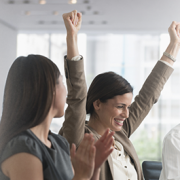 When do you feel you’re most effective as a partner of Corporate-sponsored women initiatives? Like any corporate initiative, I have to see that there is clarity of goals, and understand how they see my role. I want to be clear about what they are trying to accomplish, the way in which they plan to do it, and make sure I believe it. But it’s very much influenced by the organization because we all have very limited time. When an initiative is supported by the C-suite, then people are committed. But when you are being told this is something you have to do, (and it’s just the flavor of the month,) an executive sponsor will only give it little time. It’s the difference between compliance and advocacy. What makes you want to get involved? I believe in inclusion. I’ve been the beneficiary of inclusion and have seen first hand the effect of being a minority. I get that the world isn’t fair. I get that some people experience privilege and that their networks give them a leg up. But I’ve also seen that that privilege doesn’t guarantee anything. What do you do to show your support for a woman’s career ambitions? 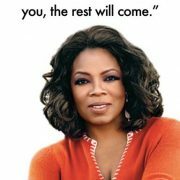 I will help a woman see the realities of the organization and ask her if she’s willing to adapt to that reality. The truth is that the organization is not going to change for one individual. It only changes over time. 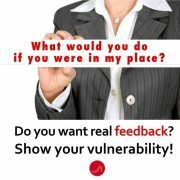 I help people define their values and priorities given where they are at in their lives and career. I then offer my perspective on the values and priorities of the organization. Using these two points, I help them try to navigate the different opportunities available. 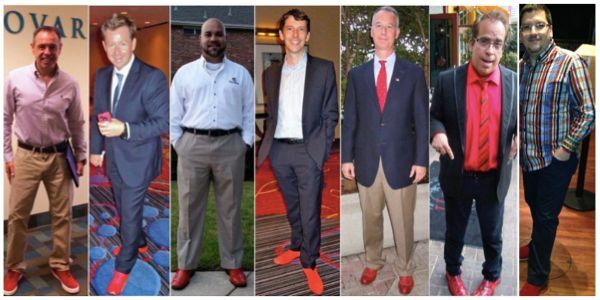 These are some of the amazing men who show their support for women’s career advancement by wearing red shoes on Tuesdays! Identify your allies in your organization. What suggestions do you have for women who are seeking the support of the male executives in the organization? If you’re looking for an advocate for your career, that’s something you don’t formally ask for. It starts with your performance. Executives recognize good performance. You get on their radar because you make their success synonymous with your success. 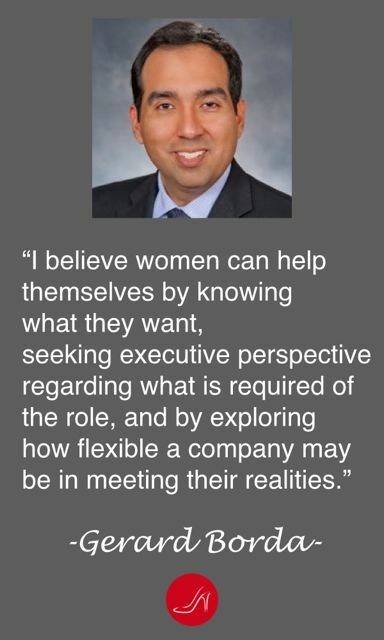 In addition, women need to know what they want and what is required by the company to achieve what they want. If the role requires you to relocate, and work late nights, you better figure out how you will do that if that’s your priority. On the other hand, executives need to evaluate if that position really requires relocation, working late nights, etc., or if they are not being creative enough to figure out a different way to get the job done. There are some roles that have requirements that are non-negotiable (for instance, sales people need to be in front of client,) but oftentimes that’s not the case. The reality may be that the organization is not progressive enough to adjust to the woman’s life stage and offer alternatives to avoid losing that talent. Want to learn more about your communication styles? Don't miss this great quiz! Join the Step Up Program and make your career goals a reality! Read on to discover what it’s all about!! Click here! What suggestions do you have for women’s assertiveness not to be misconstrued as aggressiveness? Look for other assertive women who are viewed positively and observe how they communicate, how they strategize inside and outside of a meeting to win sponsorship for their ideas. Being assertive means to put forth your point of view in a convincing way to influence your stakeholders. Women have to find their voice and use it effectively. I find they listen more actively and have greater collaboration tendencies, two skills, particularly useful in the world we live in. So they can use those skills to gain support for their ideas. 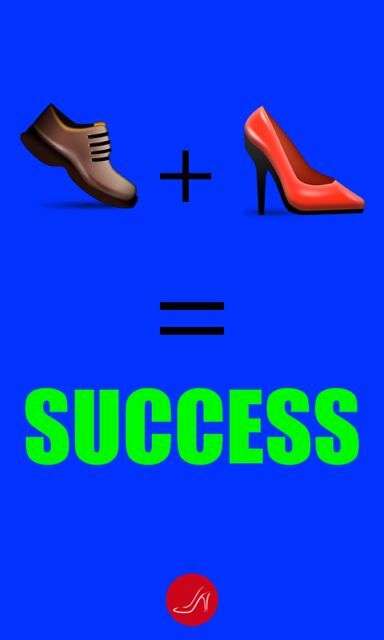 https://redshoemovement.com/wp-content/uploads/2015/04/Engaging-men.001.jpg 640 384 Mariela Dabbah https://redshoemovement.com/wp-content/uploads/2017/02/RSM-logo-website.png Mariela Dabbah2015-04-19 23:34:192016-08-09 14:46:41How engaging men in your career will take you to the next level!